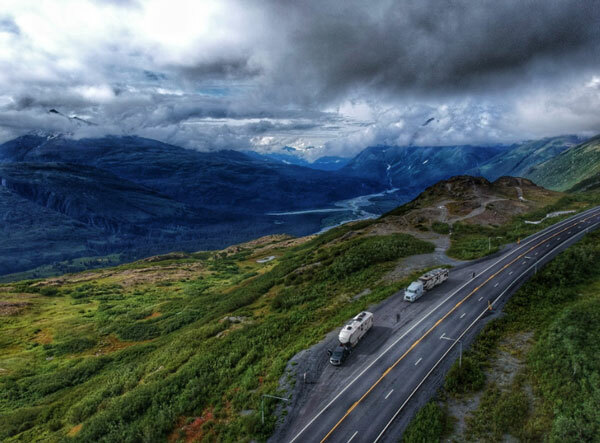 RVING ALASKA TIP #2: Meeting oncoming traffic while driving on poor roads was rare. We often took advantage of both lanes to weave around or between frost heaves. We traveled with another family and took turns taking the “lead driving position”. Communicating with walkie talkies, we were also able to give each other some warning if there were road conditions to be aware of. 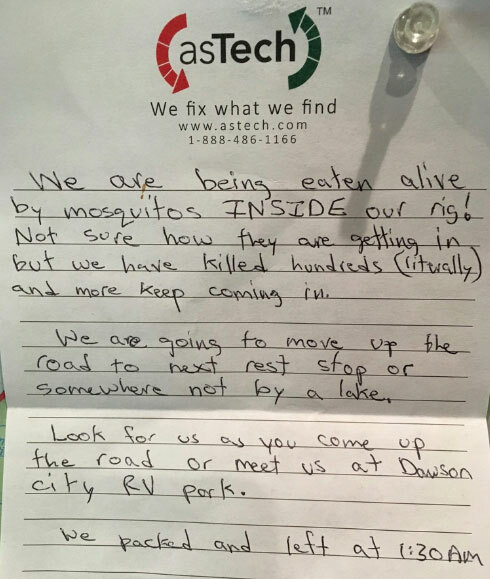 If you are following another RVer, take cues from their speed and driving. You’ve got choices! 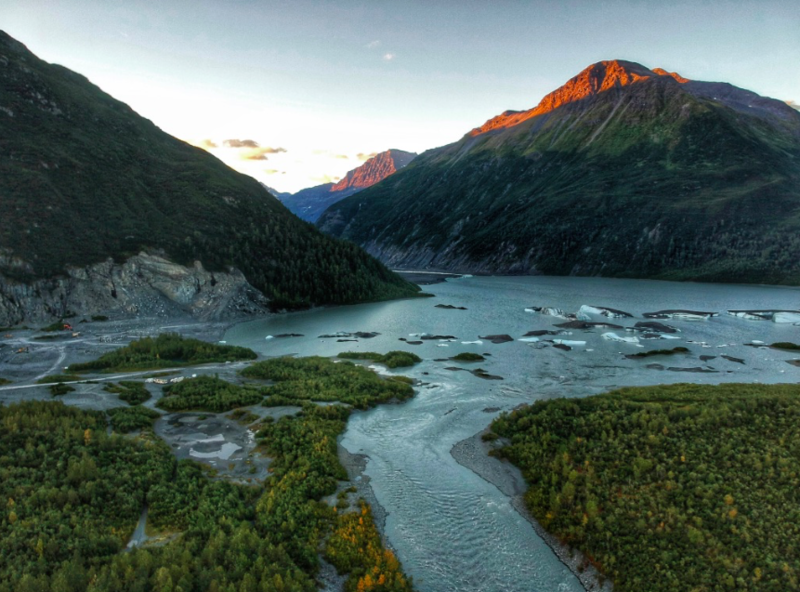 If you are planning to drive to Alaska, you have to either take the inside passage marine highway or drive through Canada. 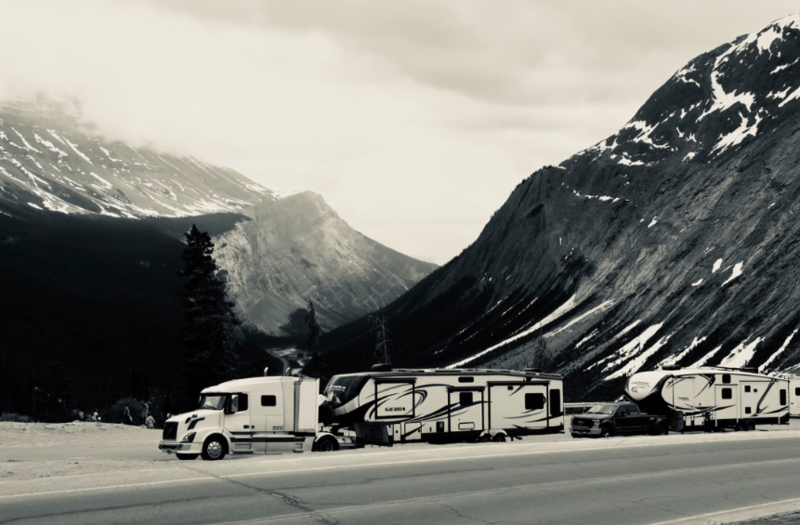 We left the lower 48 from Northeast Washington State and went North through Banff and Jasper to Dawson Creek. 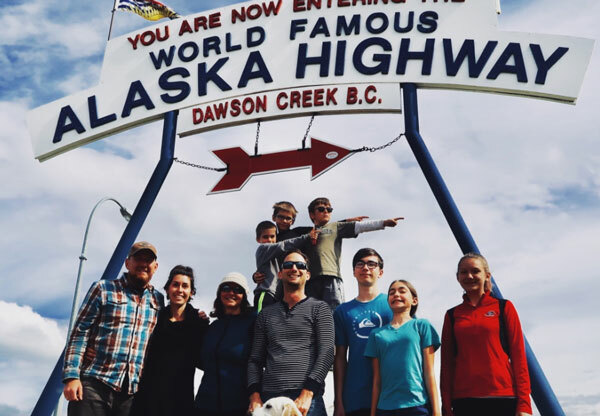 From Dawson Creek, British Columbia we began the Alaskan Hwy. This stretch of road is 1,547 miles long and ends in Delta Junction, Alaska. 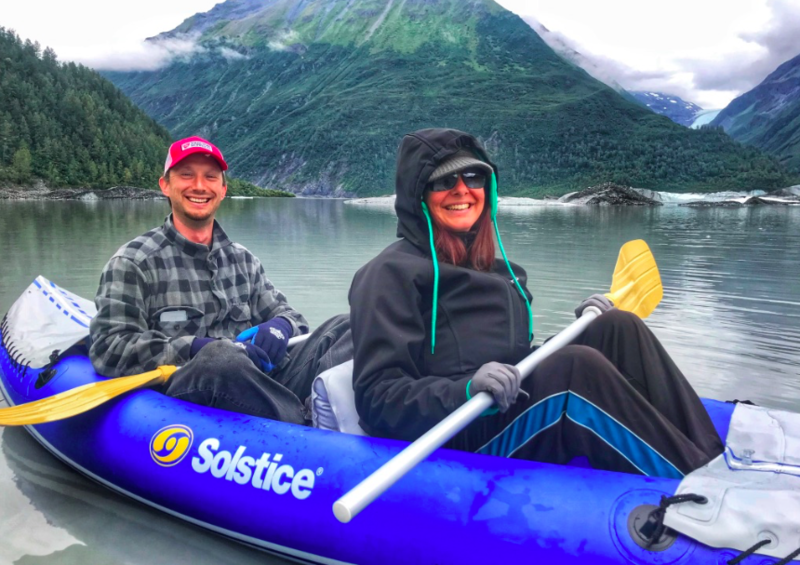 We took a side trip however after Watson Lake, Yukon to visit the historical town of Skagway, Alaska (click here for our YouTube video of this location). This was our first dip into Alaska. However, because there is only one road leading in and out of Skagway when we left we crossed back into the Yukon where we then followed the route of the 1896 gold rush up through Whitehorse to Dawson City, Yukon before entering Alaska for a second time from a different border location. Photo: Dawson City is the famous location for the Alaskan Gold Rush. After following the gold rush route North, we traveled a road called the “Top of the World Hwy” from Dawson City, Yukon to Chicken, Alaska. The Top of the World Hwy is certainly not the only route option into Alaska but it is a unique one offering long reaching views as the road snakes along the top of the mountain range. We found the Canadian side leading up to the Alaskan border on the Top of the World Hwy to be in better condition than the Alaskan portion. If you have time, we recommend staying overnight on the Canadian side for some amazing vistas. 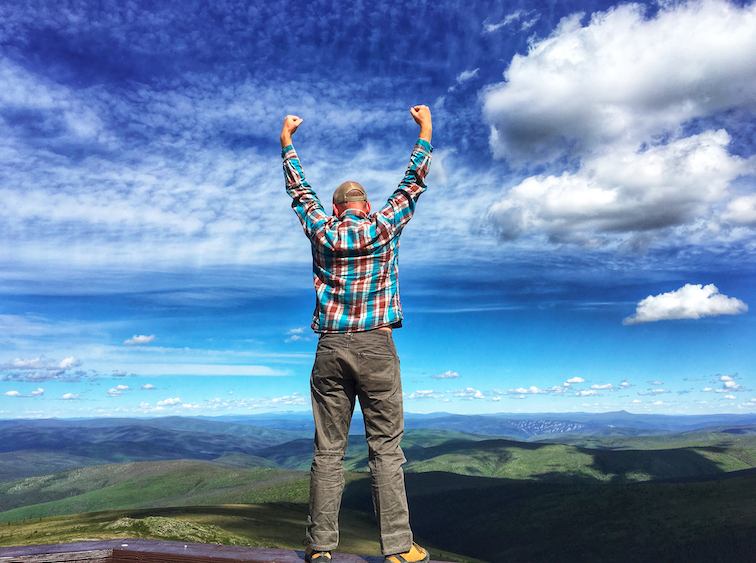 Photo: Celebrating reaching Alaska via the Top of the World Hwy. 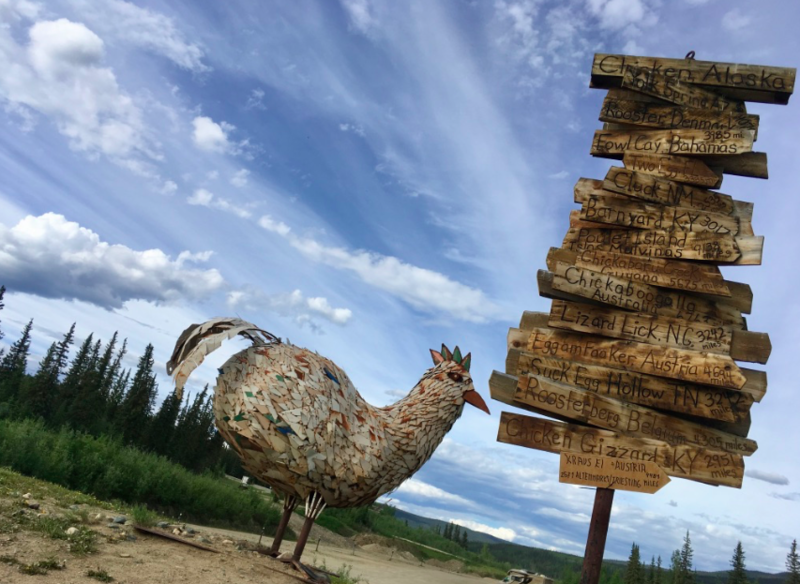 Photo: I loved this eclectic signpost in Chicken, AK pointing to various town locations around the world that follow a “chicken” themed name. 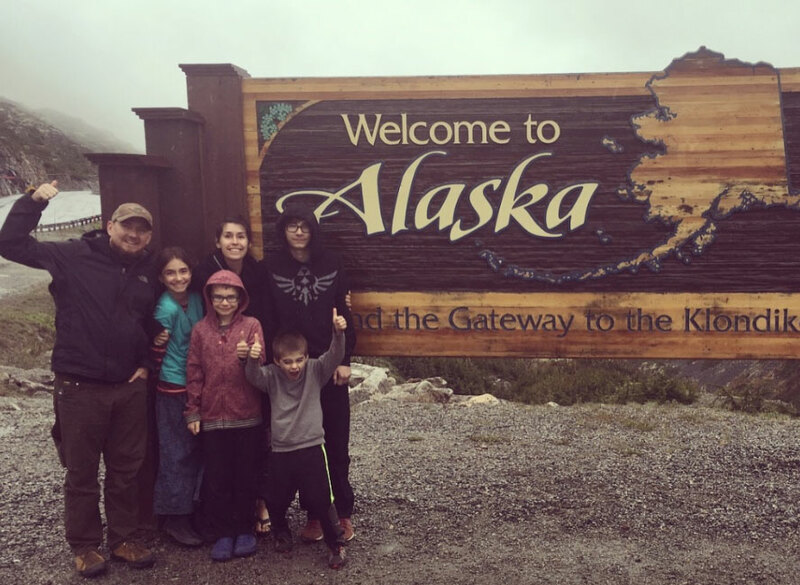 Now we were in Alaska for the second time and from this more Northern location, we were able to move about the state freely. From Chicken, Alaska we headed towards Fairbanks and then traveled south to Denali. 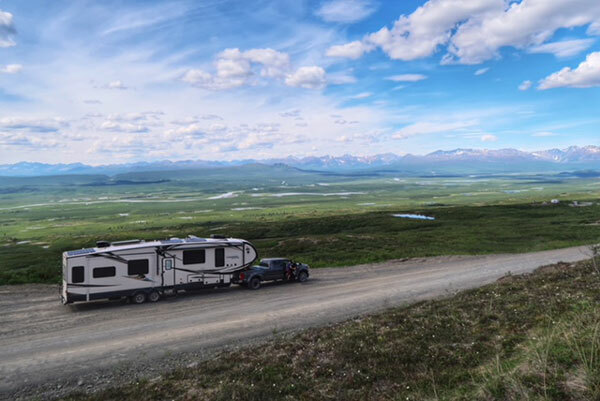 Instead of taking the typical paved route to Denali, we went back to Delta Junction in order to drive 110 miles on gravel using the Denali Hwy (not really a highway). This was probably the one major route regret of the summer as the lack of wildlife was disappointing and the road conditions failed to make up for the views (see previous dirty table photo as proof). 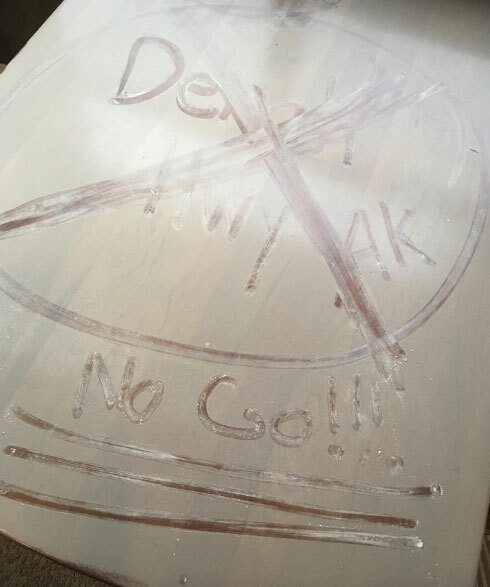 Photo: Although pretty, the dusty Denali Hwy was so hard on the interior of our rig–we wouldn’t do it again. 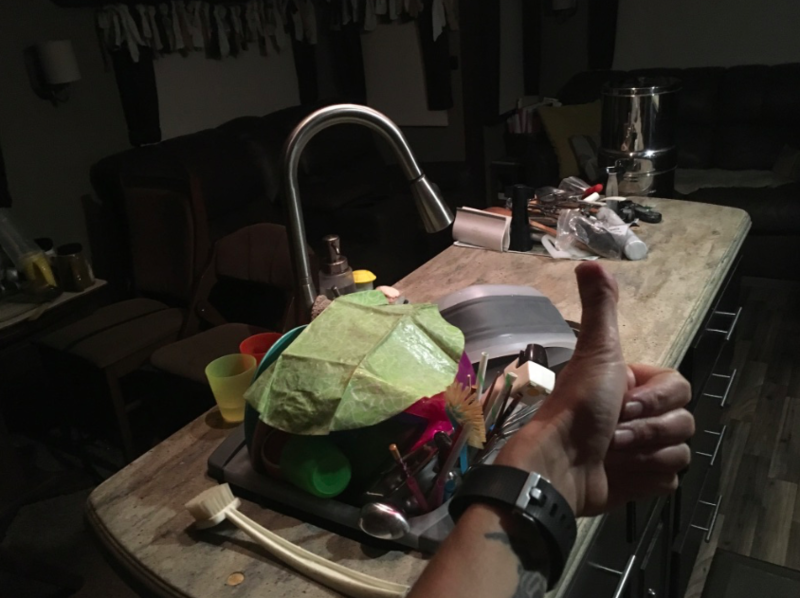 Photo: After 4 1/2 hours of cleaning (including ALL our dishes, silverware, cooking utensils and spice jars) we were finally ready for bed at 11:46 PM on the 4th of July. After Denali National Park (click here for details on that), we proceed to Anchorage. From here we visited the small town of Hope where we enjoyed several days of pink salmon fishing before heading to Seward. 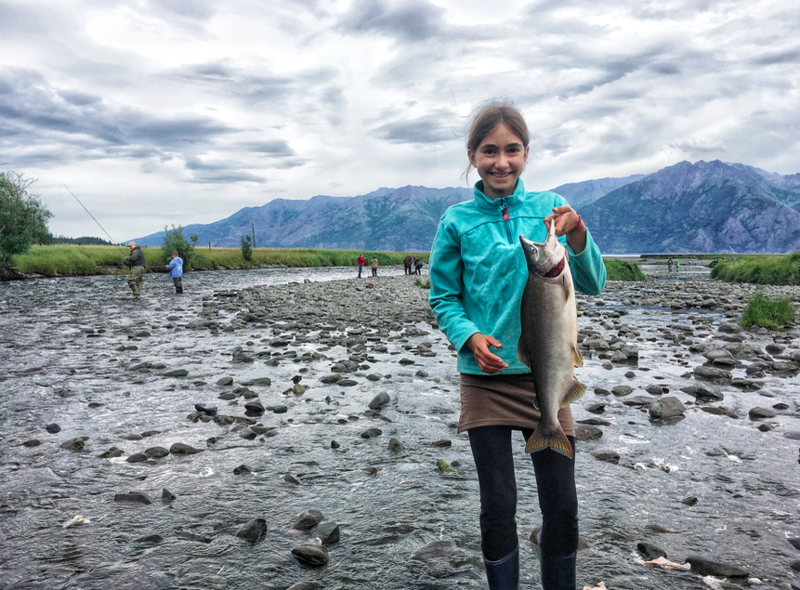 Photo: Truly a highlight for all the kids, Hope, Alaska offered effortless salmon fishing in a picturesque location. 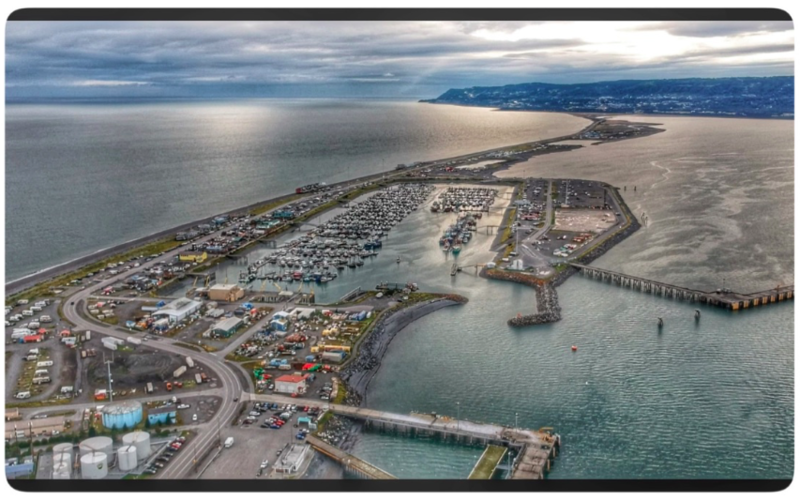 Seward is right on the ocean and welcomes you to explore many nearby glaciers by land or sea. It was here that Trent and I went ice climbing and saw puffins for the first time. Leaving Seward we spent time at the Russian River for more salmon fishing. 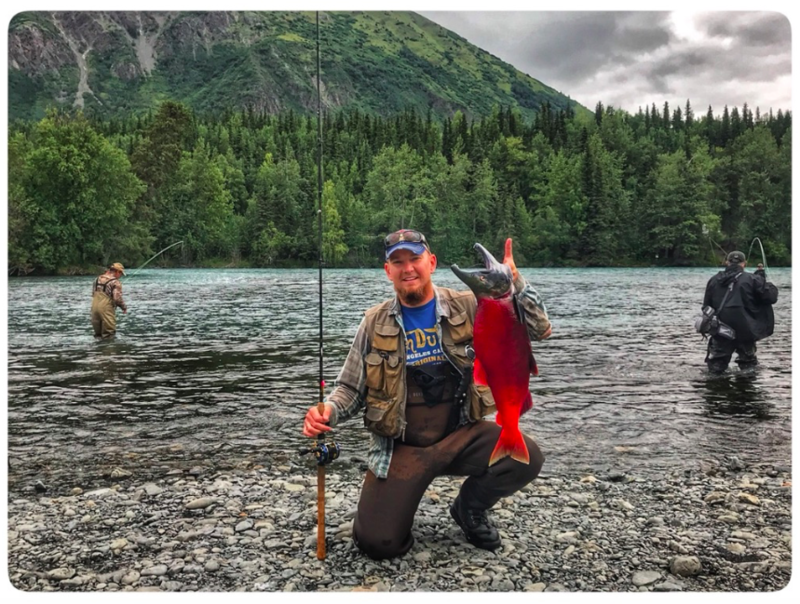 Here, Trent was able to fish in the company of both a black and grizzly bear. Photo: Russian River fishing alongside the bears. After the Russian River, we drove to Homer. Known as the halibut capital of the world, we filled our freezer with this local fish after making a fantastic connection to a local fisherman (thanks Craigslist) who was willing to take us out in his boat. 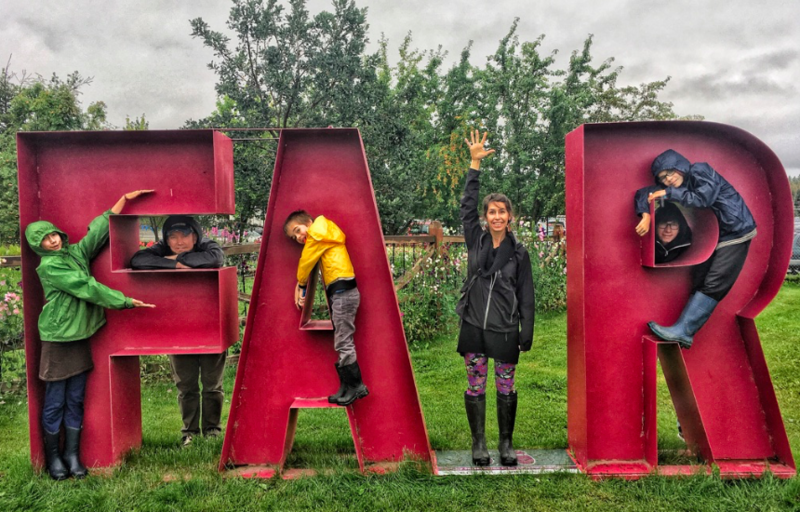 After a quick return visit to Anchorage to attend the Alaskan State Fair, we made our last major stop in the town of Valdez. 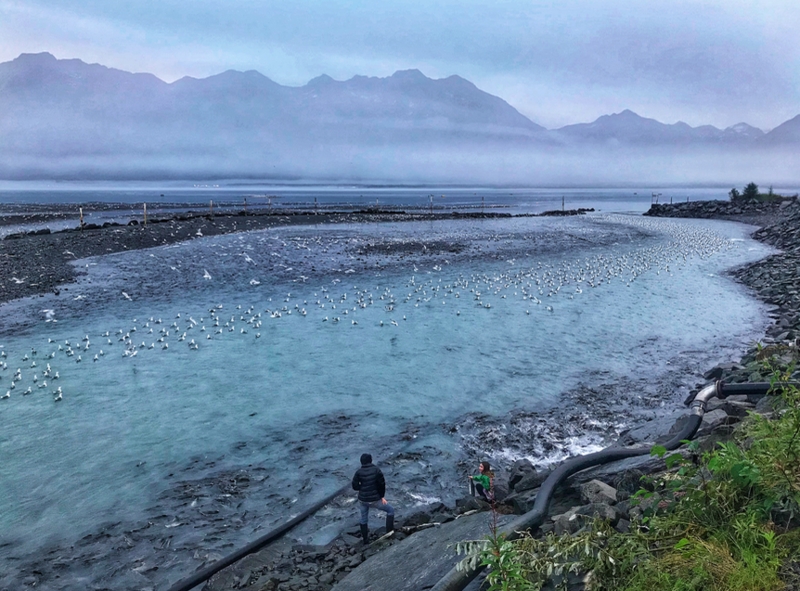 Here, in the town most notably known for the 1989 oil spill, we boondocked in one of the most unique locations to date, kayaked in waters filled with glaciers and plucked salmon out of the river with our bare hands. 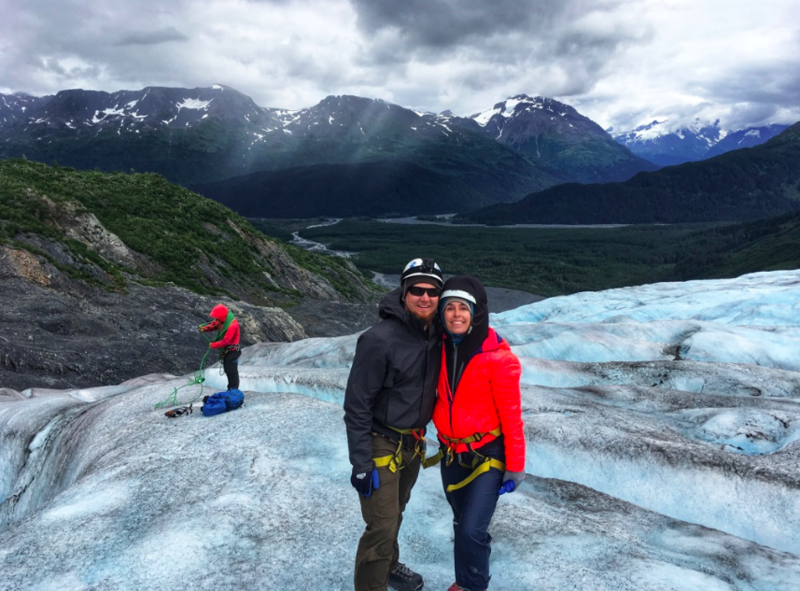 Photo: Our dear friends Nicole and Jeff Sloan getting ready to explore the glacier filled waters. 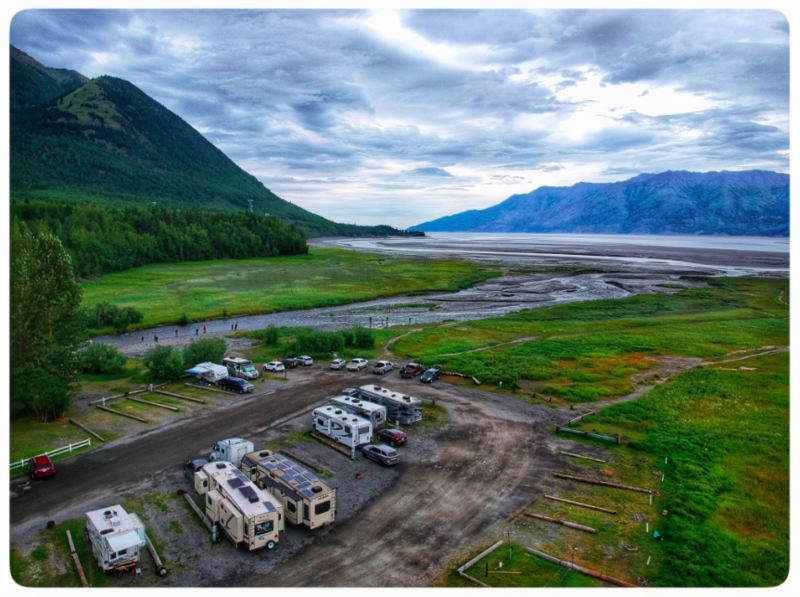 Photo: Arial view of our boondocking location (can you find our RV in the left of the photo)? Photo: Can you see the water thick with salmon by the bank where we are standing? Ashlyn has a salmon in her hands that she grabbed right out of the water! From Valdez, we drove to Tok Junction. This 254 mile stretch of road was the worst of all the roads we traveled due to the uneven frost-heave surface forcing a driving speed that at times was as low as 15 miles per hour. However, unless you are willing to backtrack a considerable distance, it is the only option from Valdez to Canada and back to the lower 48. 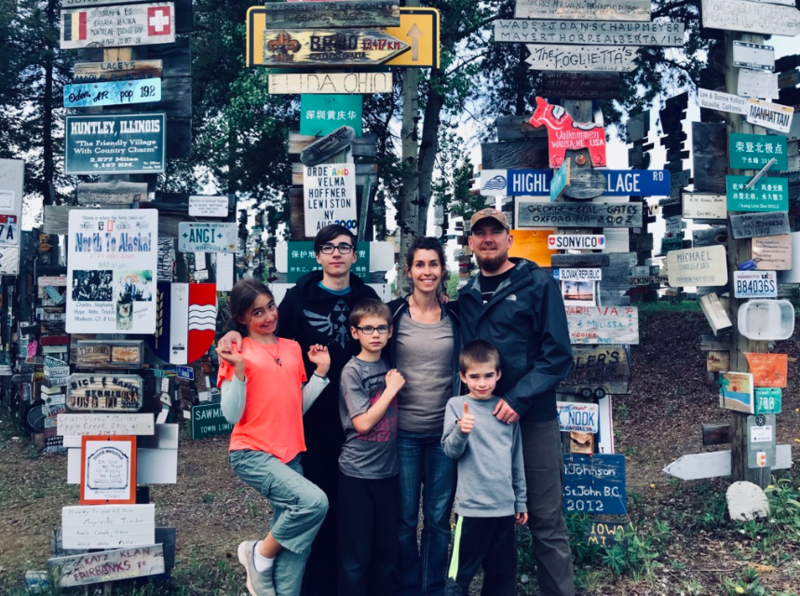 From Tok Junction, we reconnected with the Alaskan Hwy and traveled to Watson Lake (it is here that you find the Signpost Forest) before splitting off on the Cassiar Highway and then onto our final destination in Northern Idaho. Photo: The Signpost Forest. Click here to see our YouTube video of this location. 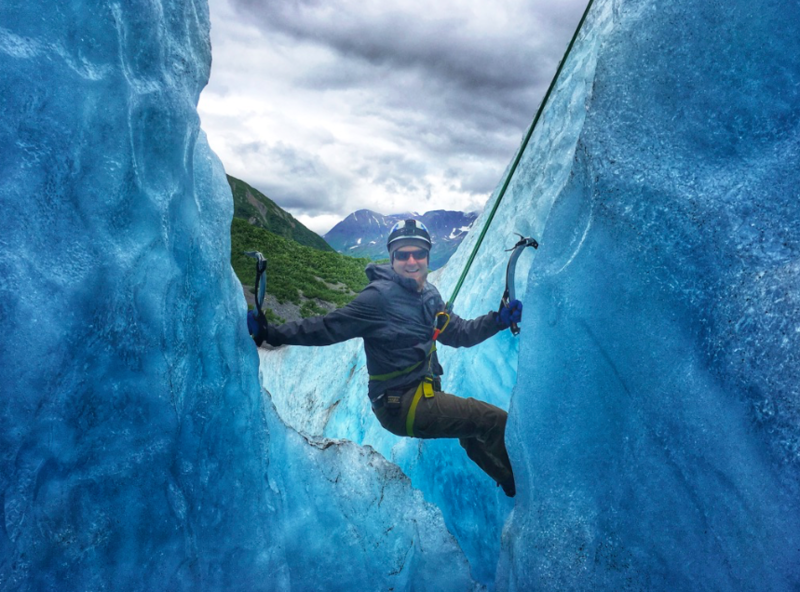 RVING ALASKA TIP #3: Consider taking one route to Alaska and a different route back allowing you to see more. You will find the Milepost (which is published each year with updated info and available both on Amazon as well as multiple in-route locations) to be an invaluable planning tool. 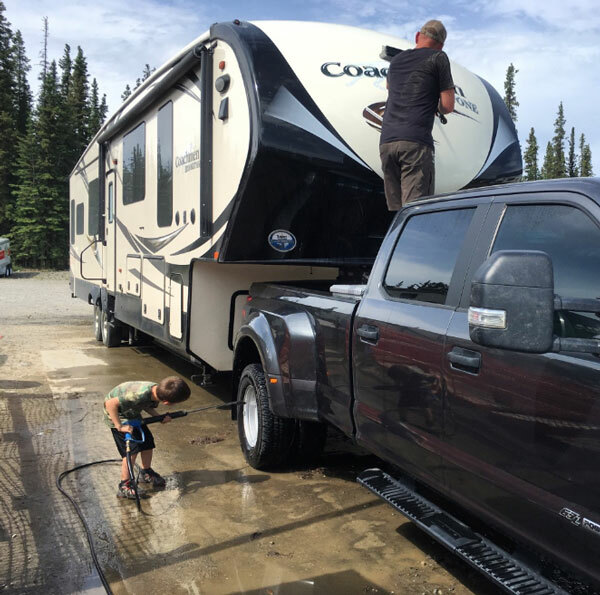 Don’t miss my next post where I talk about weather conditions, internet access, wildlife encounters, RV and truck breakdowns, flat tires/cracked windshields, food prices, and mail retrieval! 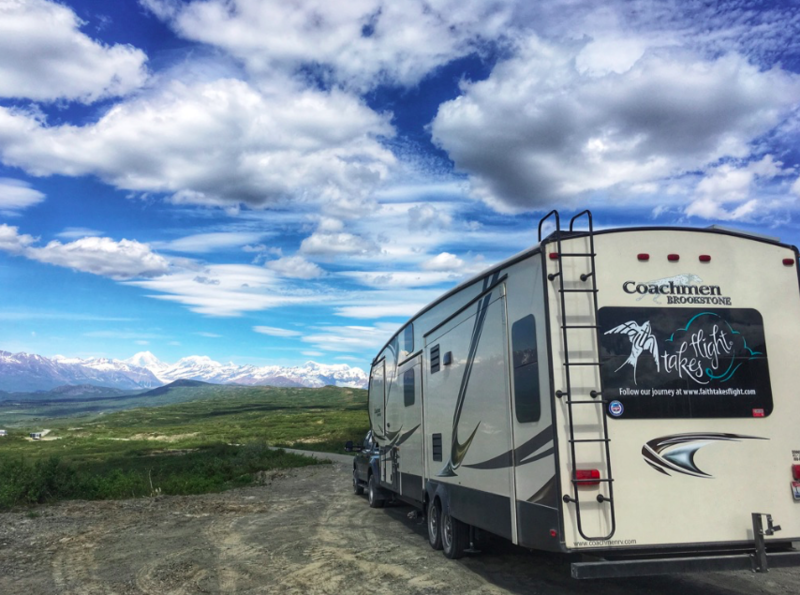 I hope you’ve found these tips to be helpful as you consider your own RV trip to Alaska! Do you have any questions I didn’t answer? Perhaps you have a tip to add to mine. If so, please leave your comment below! Thank you Heather, this is great information for when we decide to go! I’m so glad you found it to be helpful Amy!